Clean, odor free copy. 1957 Hardcover. 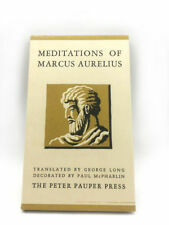 Published by The Peter Pauper Press Inc. Number of pages: 60. The book is 10.5" x 7.5" x 1" with 303 pages of text (448 - 145 = 303) plus 13 pages of beautiful, steel engraved illustrations on heavy paper. My best estimate of date of publication is 1856, which was after the author died. 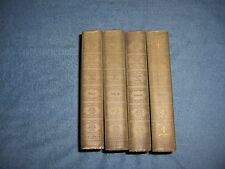 THE HISTORY OF THE UNITED STATES by J. Garner & H. C. Lodge/HC/History/U.S. 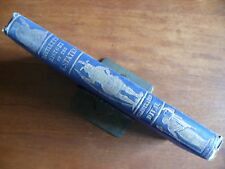 The books are in good overall condition; the spines are tight and the covers are clean with minor shelf wear including fading, scuffing and/or bumping. The pages are clear and easily readable with minor yellowing. PUBLISHER: Gryphon Editions. TITLE:The Trial of Charles Manson. The World, NY, 1886. 272 pages. VG condition. Full leather cover has corner wear and a light surface crack along hinge. Tight binding. Clean text. Shelf-wear / scuffing along the bottom and top of spine edges. fading of the cover (again, more along the lines of rubbed off gilt) (see photos). torn page (I only saw the one tear, but it is possible I missed others with it being such a large book) (see photo). This piece of history is so interesting. The book promises, "A Complete and Authentic Account of the Awful Flood of 1913 in the Rich and Fertile Valleys of Ohio and Indiana. President Wilson's Appeal for Aid and the Country's Noble Response. Lossing's significance as a historian derives from his diligence in seeking out primary records, his interviews with participants of events and intimates of his biographical subjects, and his care to weigh and contrast details of his various sources. Beautiful pictures of Indians from 1935. Crazy horse, Tecumseh, Geronimo others. NOTE OTHER SITES STATE 17 PICTURES. THEY AREINCLUDING THE BACK PAGE OF BOOK. THERE ARE 16 PICTURES WITH FRONT AND BACK COVERS SHOW INDIAN. (Connecticut) Caulkins, Frances Manwaring. History of New London, Connecticut. From the First Survey of the Coast in 1612, to 1852. The Peter Pauper Press. Translated By George Long. 1957 Hard Cover Book. The title-page is undated. World Geography. ( this is an antique school book ). Large Binding ; 10" x 12". The Map of the United States shows Oklahoma as half " Oklahoma " and halfIndian Territory. The map of the United States has a few write-ins, in old ink ( these are " Wireless Stations, Navy " - including Father Pt. ). After pursuing the Confederate general Robert E. Lee into Maryland, Maj. Gen. George B. McClellan of the Union Army launched attacks against Lee's army, in defensive positions behind Antietam Creek. Attacks and counterattacks swept across Miller's Cornfield, and fighting swirled around the Dunker Church. AUTHOR:C. Vann Woodward. PUBLISHER: Gryphon Editions. TITLE:The Strange Career of Jim Crow. Here are 4 hardcover children's story books, published in late 1950s - 1960s. Each has about 160 pages. Included in this set are (numbers shown inside on table of contents page): #20, #25, #30, #36. TITLE: Scalia's Court: A Legacy of Landmark Opinions and Dissents. AUTHOR: Ruth Bader Ginsburg. PUBLISHER: Gryphon Editions. CONDITION: Full leather bound edition. Raised bands on spine with gilt lettering. PUBLISHER: Gryphon Editions - Special Inaugural Edition. AUTHOR:Donald J. Trump. Here are 5 hardcover children's story books, published in late 1950s - 1960s. Each has about 160 pages. Included in this set are (numbers shown inside on table of contents page): #22, #27, #29, #32, #34. 1852; House & Brown; Hartford. "Embracing Both the Northern and Southern Portions of the New World. "Marbled end papers. Discoveries and Conquests of the Spaniards. Binding is in excellent shape. Worm hole in top from page 1-58. Pages are in nice shape. New Poster International Exposition Design Philadelphia 1937 Brodovitch Illust. Alexey Brodovitch; Franklin Institute (Philadelphia, Pa.). Graphic arts section. It explains, in detail, the differences between a monarchy and a republic, as our Founding Fathers intended. ENGLAND, RUSSIA AND FRANCE. House of Commons and House of Representatives. Politics of France and the Continent. PUBLISHER: Gryphon Editions. TITLE:Every Knee Shall Bow: The Truth and Tragedy of Ruby Ridge and the Randy Weaver Family. CONDITION: Full leather bound edition. Raised bands on spine with gilt lettering. TITLE:Murder in Tombstone: The Forgotten Trial of Wyatt Earp. PUBLISHER: Gryphon Editions. CONDITION: Full leather bound edition. Raised bands on spine with gilt lettering. Gilt page edges and cover design. PUBLISHER: Gryphon Editions. THIS BOOK HAS BEEN PERSONALLY SIGNED BY JUAN WILLIAMS. AUTHOR:Juan Williams. Book is in poor condition and will need rebound. All pages are present though and in good condition. Spine sunned; light foxing to tissue guards and plate. Solid and clean. There are 24 chapters including Heroism Of The Revolution; Stories of Washington; Mock Prisoner; Kenton The Spy; Patriotic Couple; Indian Captive; Brothers Sammons; The Parkins Family etc etc. Antique book. A pictoral and descriptive history of our country scenic marvels. Very cool pictures. General Oglethorpe’s Georgia Colonial Letters, 1733-1743 edited by Mills Lane, published in 1975 by The Beehive Press.First edition thus. The books and slipcase are in near fine condition. Light shelf wear. Color plate by Frederick Remington, plus several sepia tone illustrations. Published by Subterranean Press, Burton MI, 2006. Fine in fine slipcase. Tiny bit of rubbing to slipcase where the books have been pushed in. Near perfect condition. Green cloth with slipcase, 6 vol set. On the back it simply says "With Our Wishes for a Prosperous and Happy New Year.". Johnson, Cowdi & Co. 84 and 86 Fifth Avenue, New York City. 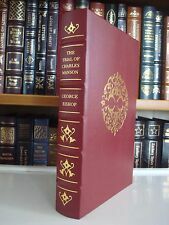 LIMITED EDITION BOOK, LONG OUT OF PRINT. This huge book contains the county's early history as well as the events for, the 1900's. Bicentennial History of Ogle County 1976. Jacket has edge wear and small tears. ILLUSTRATED BY BEN ELY. FAMOUS INDIAN CHIEFS. FOLIO, PAPERBACK. PUBLISHED BY WHITMAN, WISCONSIN, 1935. COLORED PLATES. WITH TWENTY-FIVE ENGRAVINGS. Condition : 25 engravings, full worn leather splitting down front gutter and 1/3 back. Looks good enough to be refurbished. Internal scattered soiling, marbled endpapers, front board just hanging on but otherwise sound. 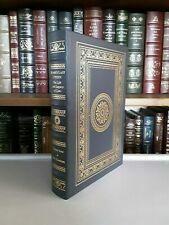 BUEL'S "GLIMPSES OF AMERICA" 1894 HC/Photo Album US History Illustrated RARE!!! Written by J.W. Buel. Profusely illustrated with photographs throughout the book. No dust jacket. From regions of perpetual ice to lands of perennial sunshine.". Corners are slightly rounded. Pink blemish found on page 126.